The ward of West Hampstead runs along the South Side of Mill Lane. The ‘West End’ ward was expanded in 2002 and West Hampstead ward now also covers the Iverson Road and Hemstall Road areas. Oddly not all of this ward is in NW6. The Lithos Road estate off Finchley Road is in NW3! 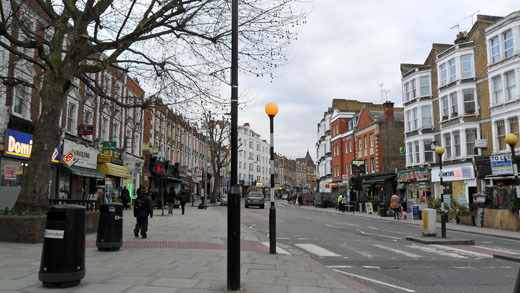 Centred around West End Lane and the West Hampstead Library, West Hampstead is a swiftly changing area where the Conservative vote is rising fast! They hold a regular advice stall outside Cafe Nero, 264 West End Lane, NW6 1LJ from 10 - 12.30, usually the fourth Saturday in each month (July 16 - its the 30th of July). Come along and meet the team! While there are currently no Conservative Councillors representing West Hampstead this has not stopped West Hampstead Conservatives distributing a regular community newsletter called "In Touch." If you would like to help us campaign here please contact Nick Grierson. We campaign on local issues to help improve the local environment.